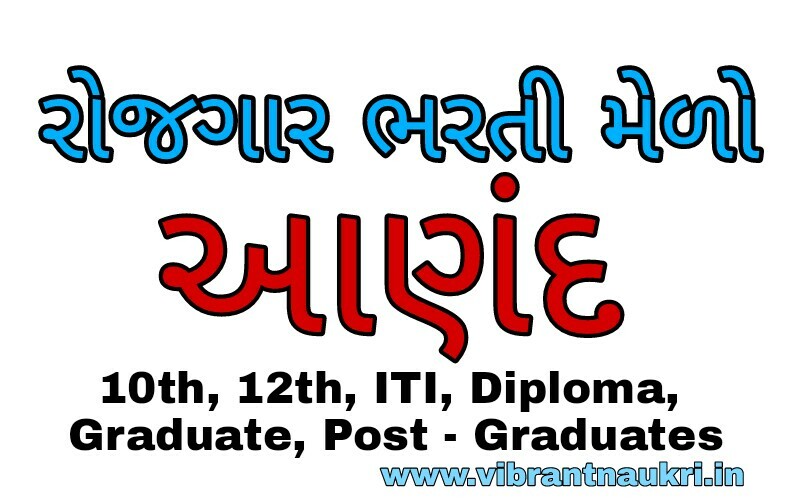 District Employment Office, Anand with University Employment Bureau, Vallabh Vidyanagar and Vitthal Udyognagar Industry Association is Organizing Mega Job Fair on the 10th October, 2017 at 10 AM. More information please read below mention officially notifications carefully. Education qualification : SSC/ HSC/ ITI/ DIPLOMA/ ALL GRADUATES/ ALL POST GRADUATES can participate. More information please read below mention officially notifications carefully. How to apply : Walking interview to given below mention address. Note : Please bring 3-4 copies of Resume/CV at the venue.